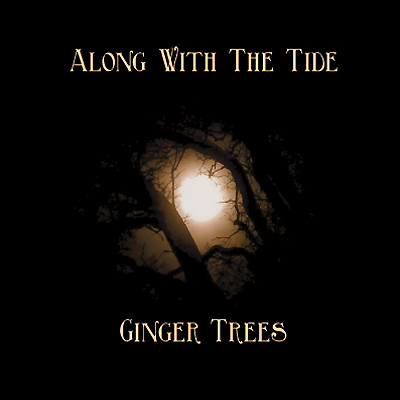 "In the heartland, thru the mindscapes, into the unknown that is yet to come..." Ginger Trees, from Boras, Sweden, consists of Rasmus (vocals), Jonte (bass), and Johan (drums). The trio have created quite a delectable treat in Along With The Tide. Their soundscapes of progressive and bluesy rock are sure to entice a multitude of music lovers. GT has layered and textured AWT with incredible vocals and a plethora of instrumentation, including an organ and vibraphone; truly engulfing the listener. GT begin the Tide with Forever This Longing. A very mellow track that climax around 2:15 with the addition of psychedelic keys. AWT continues and soon arrives at the title track Along With The Tide. This very well could be my favorite, "Along with the tide, felt the blood rush to my head..." great lyrics, drumline, all around just a great tune! AWT is followed by another stand out song, Poseidon. With a melancholy intro, reminiscent of Alice In Chains (even sounds a little like Layne during the intro). Okay, I was wrong, Poseidon is definitely my favorite track here. With a nice chunky lick and poetic lyrics, leading to a tremendous drumline... if you are looking for some new prog, this is the album! Breathe will bring a Porcupine Tree atmosphere. Swirl takes the listener into a retro/classic rock era. The finale, and a grand one at that, is Kurukshetra. I quick searched and found this to be a "Holy City" in India, which sounds to fit very well with the music and lyrics... if only they could have added a sitar (I think that is an Indian instrument). I have been blessed to have the chance to review so many incredible musicians and their work. AWT, at this time, sits at the top of my list. I enjoy Ginger Trees as much, if not more than my last 5 out of 5 (Earth: Angels of Dark, Demons of Light 1). If you are looking for new progressive rock, that's not just some rehash I would suggest picking up a copy of "Along With The Tide".